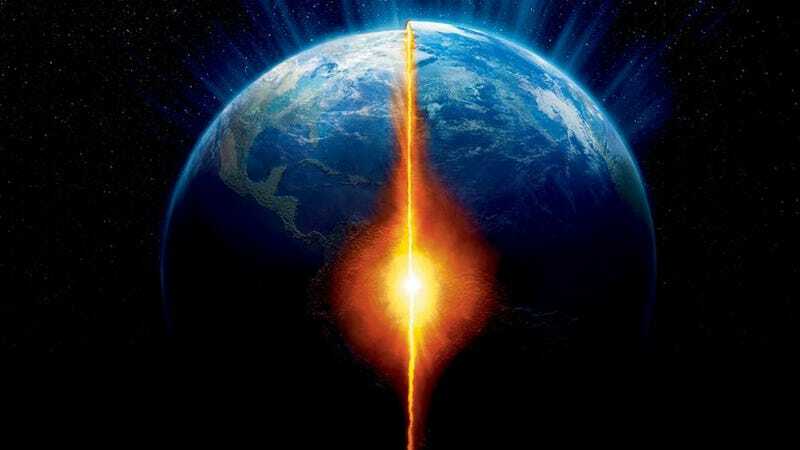 The new measurements, which were made by Agnes Dewaele from the French research agency CEA, along with members of the French National Center for Scientific Research CNRS and the European Synchrotron Radiation Facility ESRF in Grenoble, now sets the temperature of the Earth’s inner core at a blistering 6,000 degrees Celsius. It’s a figure that matches up well with other estimates suggesting a temperature difference between the solid core and the mantle above of at least 1,500 degrees — a contributing factor to the presence of the Earth’s magnetic field. Previous estimates, which were achieved by measuring iron’s melting curves, placed the core temperature at 5,000 degrees. But the new technique, which utilizes fast X-ray diffraction, allowed the researchers to probe tiny speck-like samples of iron at intense pressures to get an enhanced sense of how iron crystals form and melt. Indeed, a challenge for the researchers was to replicate the monumental pressures at the core boundary — pressures that are a million times greater than what’s experienced at sea level. To achieve this, Dewaele and her team used a device called a static laser-heated diamond anvil cell, a name that pretty much describes what it is. With this tool, the scientists were able to take a tiny iron sample and hold it between the points of two precision-machined synthetic diamonds. Then, the iron was placed under high pressure and blasted by lasers. Working at the European Synchrotron Radiation Facility, the researchers analyzed the way X-ray beams bounced off the nuclei of the iron atoms. As the iron changed from solid to liquid, the researchers observed changes to the diffraction patterns, which in turn provided the data required to measure partially molten states of iron. The researchers found that iron has a melting point of 4,800 degrees Celsius at 2.2 million atmospheres of pressure (up to 200 GPa). Extrapolating this to 3.3 million atmospheres — the estimated pressure between the liquid and solid core — the scientsts reached their figure of 6,000 degrees Celsius (+/- 500), or 6,230 kelvin. Top image: via AXN: The Core.